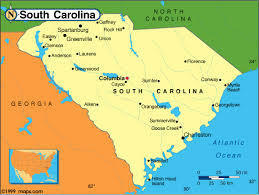 South Carolina is a southeastern U.S. state known for its shoreline of subtropical beaches and marshlike sea islands. 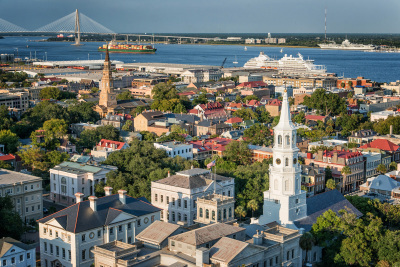 Coastal Charleston is its oldest city, defined by pastel-colored houses, Old South plantations, and Fort Sumter, where the Civil War’s opening shots were fired. Carolina Wren Settled by the English in 1670, South Carolina became the eighth state to ratify the U.S. Constitution in 1788. 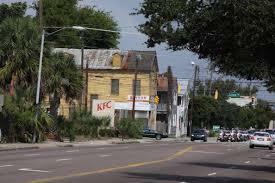 The early economy was largely agricultural, benefitting from the area's fertile soil, and plantation farmers relied on the slave trade for cheap labor to maximize their profits. By 1730, people of African descent made up two-thirds of the colony population. 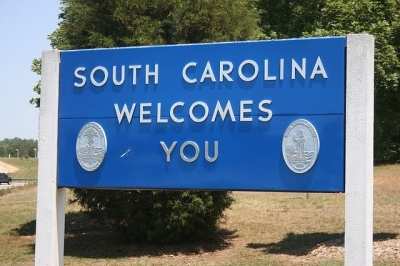 South Carolina became the first state to secede from the union in 1861 and was the site of the first shots of the Civil War–the shelling of the federally heldFort Sumter by Confederate troops on April 12, 1861. Charleston welcomed a shipment of golf balls and clubs from Scotland as early as 1743. On September 29, 1786, the South Carolina Golf Club was formed and, in the same year, America’s first golf course was established on Harleston Green. In 2011, there were more than 350 golf courses within the state of South Carolina. After capturing Columbia on February 17, 1865, Union soldiers under General William Tecumseh Sherman burned and destroyed more than two-thirds of the city. Due to scarce funding following the war, the new State House was not rebuilt until 1903. On November 2, 1954, former governor Strom Thurmond became the first person to be elected to the U.S. Senate as a write-in candidate, winning 63 percent of the vote. Thurmond served the state of South Carolina as senator for 47 years, five months and eight days. 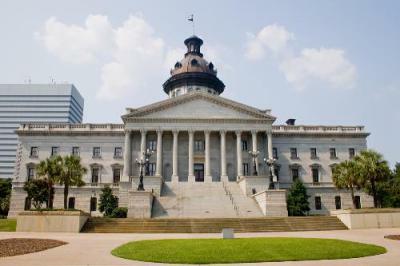 In 2000, the Confederate flag was removed from the dome on top of the State House and placed on the grounds near the Confederate Soldier Monument in response to an NAACP boycott of the state and protests over its legacy. More than ten years later, the flag’s location continues to be the subject of ongoing controversy. The only commercial tea plantation in the contiguous 48 states is on Wadmalaw Island, near Charleston, South Carolina. 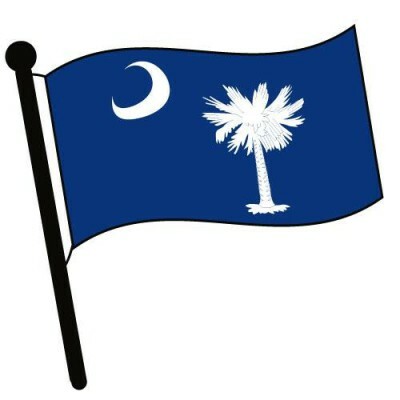 The palmetto tree has been an important icon of South Carolina since the American Revolutionary War. When the British attacked a fort on Sullivan’s Island, near Charleston, the cannonballs bounced off the spongy palmetto logs used to build the exterior wall.